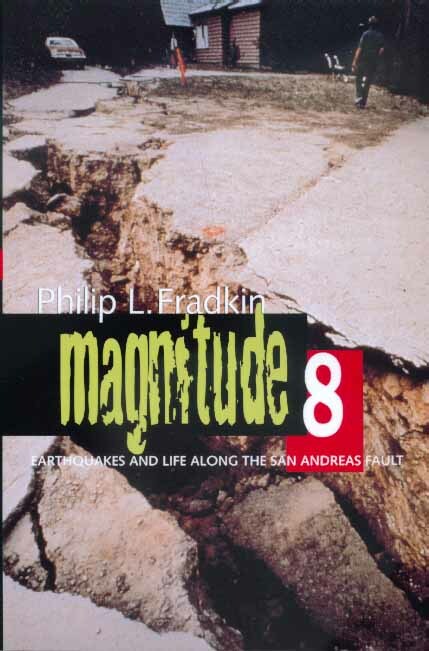 Environmental historian Philip L. Fradkin offers a vivid history of earthquakes and an eloquent guide to the San Andreas Fault, the seismic scar that bisects the Golden State's spectacular scenery. The author includes dramatic stories of legendary earthquakes elsewhere: in New York, New England, the central Mississippi River Valley, Europe, and the Far East. Combining human and natural dramas, he places the reader at the epicenter of the most invisible, unpredictable, and feared of the earth's violent phenomena. On the eve of the millennium, as cyberspace crackles with apocalyptic visions, Fradkin reaches beyond the earthshaking moment to examine the mythology, culture, social implications, politics, and science of earthquakes. Philip L. Fradkin is the author of six acclaimed books on the American West, including The Seven States of California (California, 1997) and A River No More (California, 1996). He shared a Pulitzer Prize as a journalist, served as assistant secretary in the state agency responsible for overseeing seismic matters, and for the last twenty years has lived adjacent to the San Andreas Fault in California's Marin County.